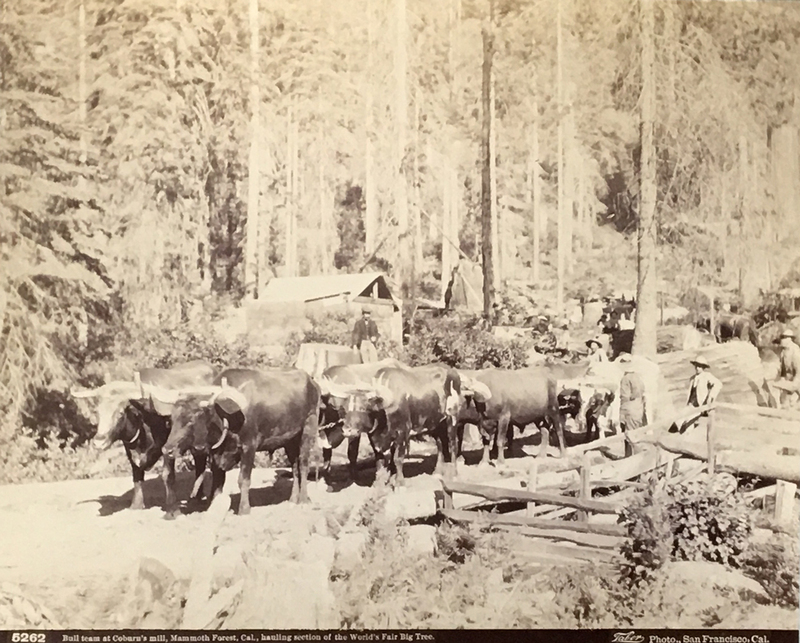 32 albumen prints (sizes vary; see list below) of Yosemite and selected other scenes in the American West, on light gray card mounts. All but four signed in the negative by Taber of San Francisco. Contemporary dark blue morocco (measuring approx. 18 x 12 in. 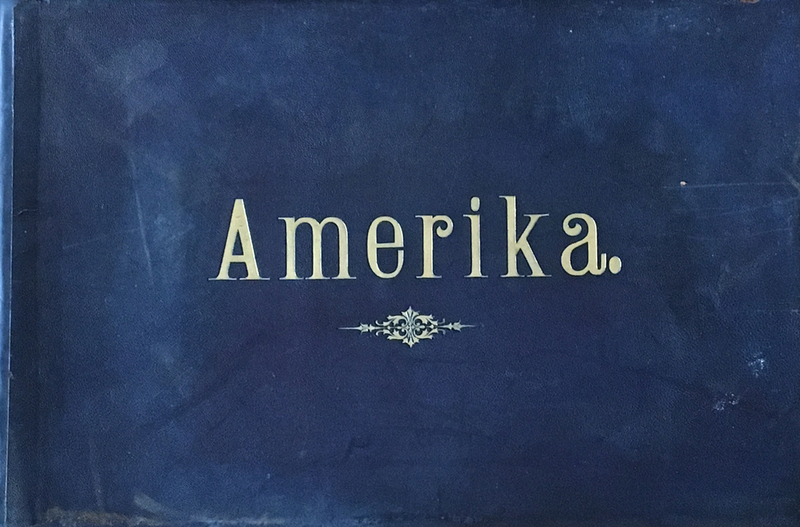 ), upper board stamped in gilt “AMERIKA,” rebacked, brass fittings, lacking clasp. Silk patterned endpapers. Mounts foxed, slight staining, occasional foxing or fading to images. An outstanding album with beautiful, rich prints. 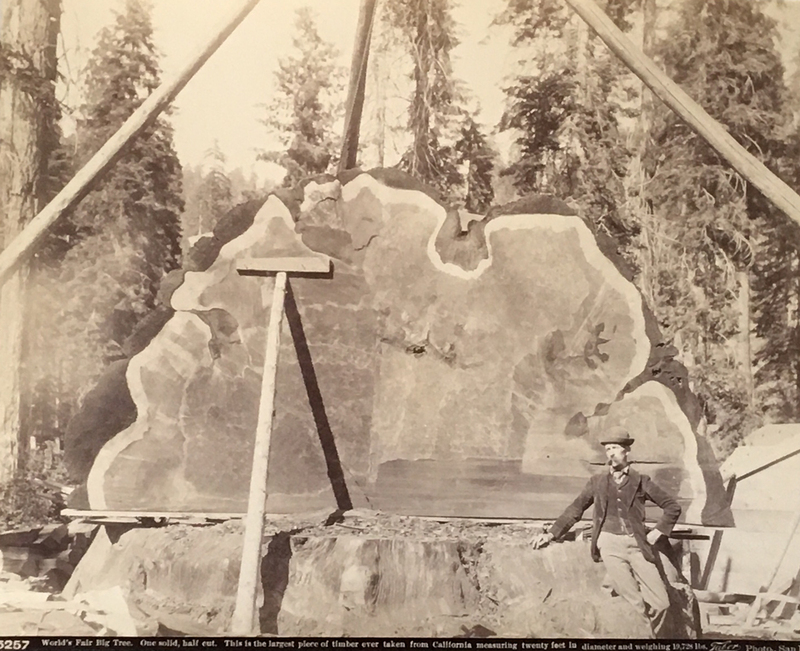 Giants of American West photography. 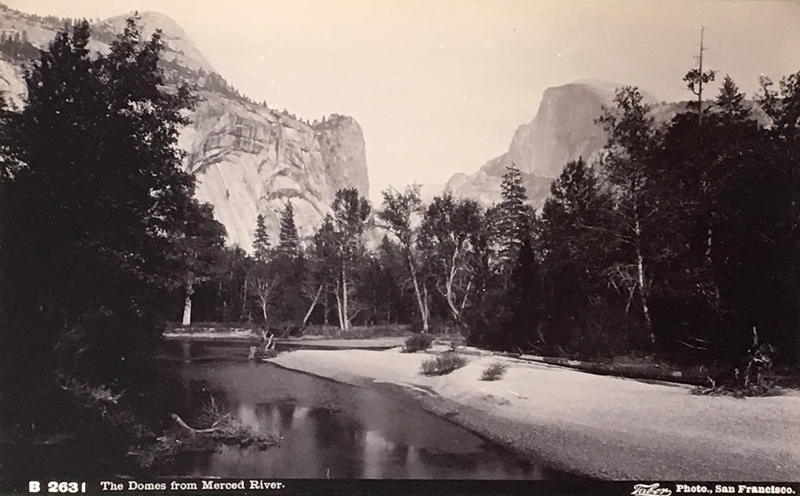 This beautiful album contains many splendid views of the scenic wonders of Yosemite including splendid Watkins and Taber views. Subjects include the many magnificent falls, the Mariposa Grove of sequoias, and the great geological formations. 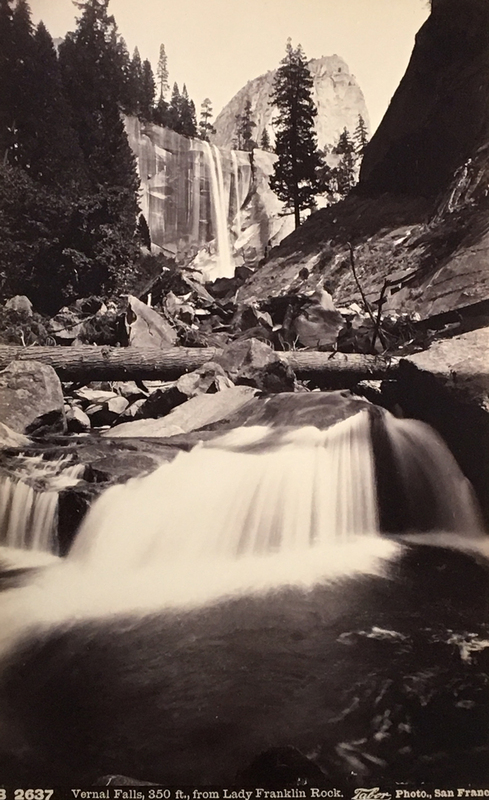 At least two, and likely many more, of the views in this collection were taken by Carleton Watkins. Those for which attribution to Watkins has been confirmed are singled out below, but this collection merits further investigation to identify Watkins photographs. Isaiah Taber was a dominant figure in Western photography after the Civil War. In 1864 he came to San Francisco, founding his gallery in 1871. 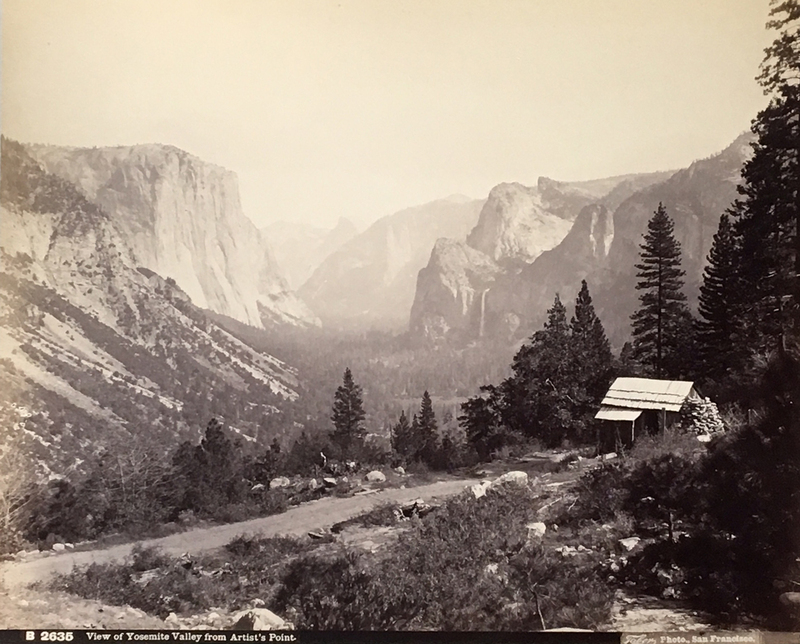 In the winter of 1875-76, Taber acquired Carleton Watkins’s collection of Pacific Coast Views negatives and Yosemite Gallery in the aftermath of Watkins’s bankruptcy. “Once he had acquired Watkins’s gallery and negatives, Taber began his bid for the exalted position of premier photographer of the west coast.” Many of Watkins’s prints were released with Taber’s imprint. Over the next three decades Taber became the dominant figure in photography in the Far West. In 1906 the San Francisco earthquake ended his career, destroying his premises and an estimated twenty tons of view negatives and eighty tons of portrait negatives. 6. Watkins, Carleton. Vernal Falls, 350 ft. from Lady Franklin Rock. Taber Photo., San Fran. B2637 (8 x 5 in.). 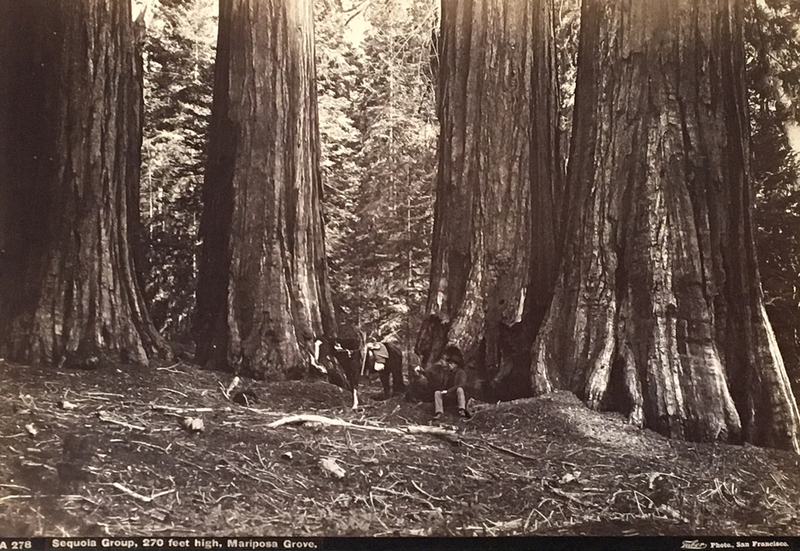 This photograph, attributed to Watkins, is in the Henry Art Gallery, University of Washington, and in he collection of the University of Nebraska at Lincoln. 7. North Dome and Tis-sa-ack Bridge from Merced River. Taber Photo., San Fran. 18. “Diamond Group,” 300 feet high. Taber Photo., San Fran. 25. Watkins, Carleton. 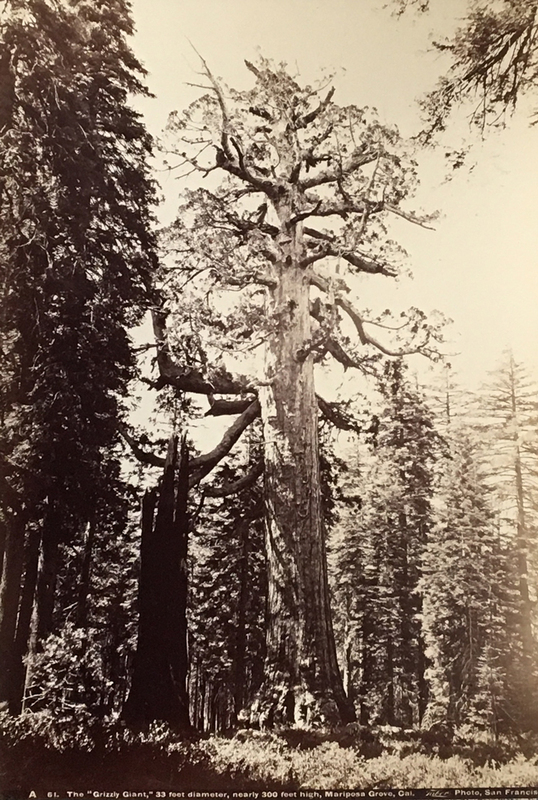 The “Grizzly Giant,” 33 feet diameter, nearly 300 feet high, Mariposa Grove, Cal. Taber Photo., San Francisco A 61 (12 x 8 ½ in.). This photograph, which may have been taken at the same time as Naef 1010, is identified as by Watkins by the Smithsonian Institution and dated 1861 in its American Photogaphs: The First Century website. 28. Below the Gorge Grand Canon R.G.R.R. [photograph by] WHL & Co.